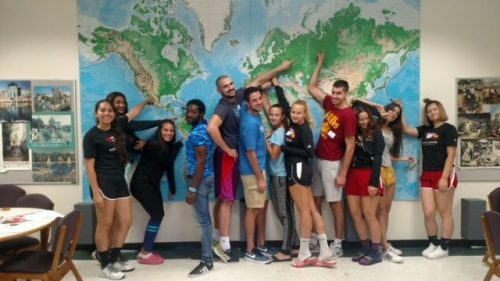 Polk State College students come from all over the world! Polk State College’s World Connect Center is dedicated to promoting access, equity, and success for international and English Speakers of Other Languages students. Many international and ESOL students are faced with cultural barriers on campus, including communication deficiencies that often times contribute to academic stress and isolation. The World Connect Center aids in building cultural acclimation at the college by providing extra support for those students, including mentoring and one-on-one tutoring with instructors from different countries who speak and teach different languages. The World Connect Center also provides social gatherings throughout the semesters for students to build relationships between international and ESOL students, as well as with other college students, faculty and campus organizations. By providing the extra support they need, the World Connect Center helps Polk State’s international and ESOL students SOAR!